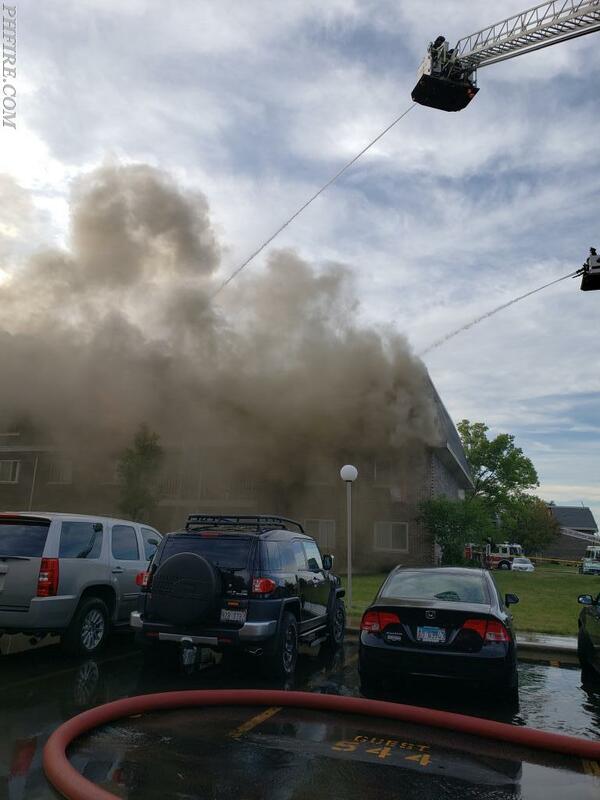 On Wednesday July 18, 2018 there was a reported fire at the River Trails Condominium complex off of Apple Drive on the east side of town. Engine 39 had water on the original fire in a few minutes after arrival and put that fire out. Unfortunately the fire was already into the Mansard on our arrival. The work of our firefighters lasted into the night and well into the wee hours of the morning. Despite all this only one firefighter suffered heat exhaustion and two civilians with minor injuries required EMS. No firefighters or civilians were killed or seriously injured. * Time line: Dispatch at 1322, First Box at 1323, Second alarm at 1356, Third alarm at 1417, Fourth alarm followed by fifth alarm at 1457 and 1500. Special at 1650. Inter-divisional task force at 1738. Also had ambulance box to second alarm for rehab and EMS. * Rough calculations: nearly 50 departments and 200 firefighters fought this blaze. * Battalion 9 was supported at the command post by four other chiefs. In total, we had 28 chiefs supporting the Incident Command System (ICS). * On our arrival fire was visible out a side window and already spread into the Mansard. Access to that side of the building was challenged due to no improved roadway and the tall fences. 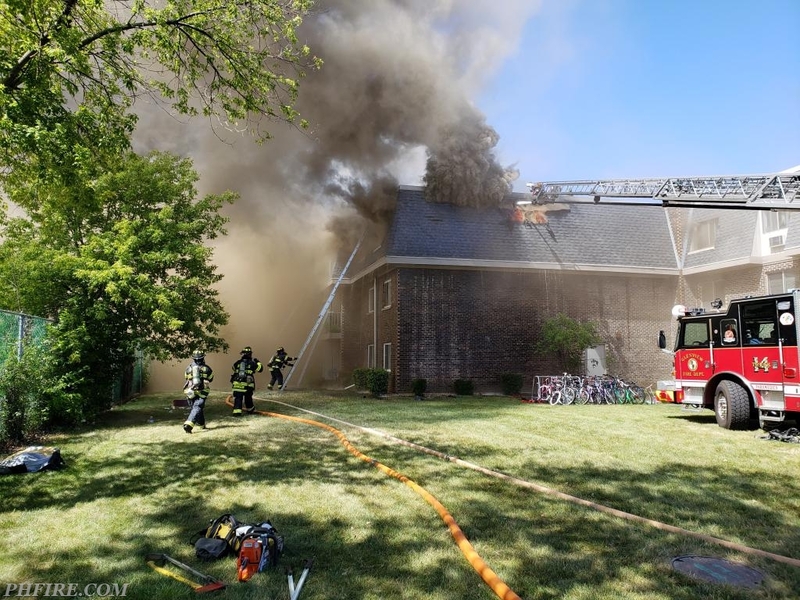 * With companies in the rear working from the exterior and multiple companies and hand lines on the interior conditions continued to deteriorate and it was evident that the risk to interior companies was too great. At about 14:30 hours, more than 60 minutes after the offensive attack was launched, operations switched to the defensive mode. Efforts then focused on separating exposures on either side from the original building. This, too, proved unsuccessful. * MESS canteen and Salvation Army canteens were a huge help. * Water flowed in excess of 4,000 Gallons Per Minute (GPM) for hours. * The thank-yous and compliments have far outweighed the few negative comments we have received. The words and deeds of our residents and the humanity of citizens as well as positive support from other chiefs says it all. Those who have done this work and experienced its wrath understand the challenges faced. Recovery will be long, slow, and painful for these residents. The outpouring of community support is tremendous. The attention this fire has received nationwide is astonishing. 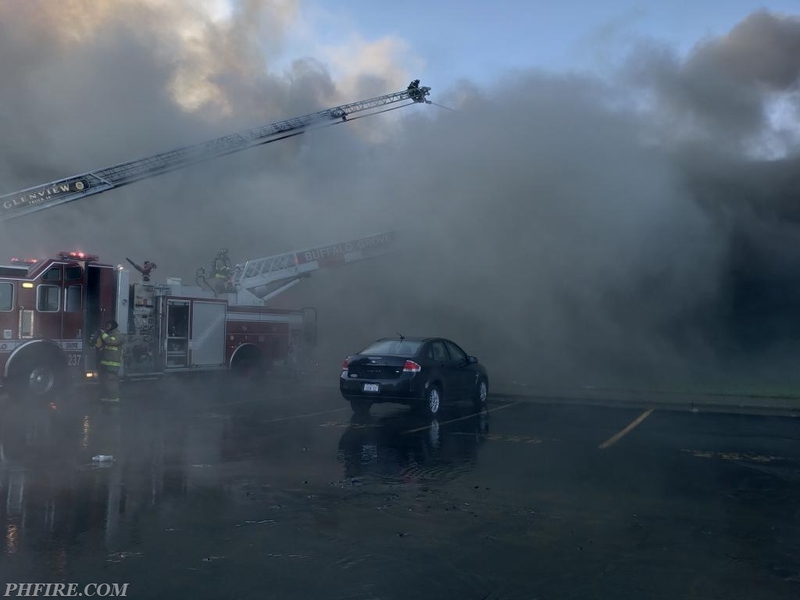 The city has already taken a position that fire sprinklers are needed in the rebuild. Fire alarms in all the other buildings are needed too.